Hyperbaric oxygen therapy is a treatment for wounds in any location and of any duration that has been misunderstood for 353 years. Since 2008 it has been applied to the persistent post-concussion syndrome of mild traumatic brain injury by civilian and later military researchers with apparent conflicting results. The civilian studies are positive and the military-funded studies are a mixture of misinterpreted positive data, indeterminate data, and negative data. This has confused the medical, academic, and lay communities. The source of the confusion is a fundamental misunderstanding of the definition, principles, and mechanisms of action of hyperbaric oxygen therapy. This article argues that the traditional definition of hyperbaric oxygen therapy is arbitrary. The article establishes a scientific definition of hyperbaric oxygen therapy as a wound-healing therapy of combined increased atmospheric pressure and pressure of oxygen over ambient atmospheric pressure and pressure of oxygen whose main mechanisms of action are gene-mediated. Hyperbaric oxygen therapy exerts its wound-healing effects by expression and suppression of thousands of genes. The dominant gene actions are upregulation of trophic and anti-inflammatory genes and down-regulation of pro-inflammatory and apoptotic genes. The combination of genes affected depends on the different combinations of total pressure and pressure of oxygen. Understanding that hyperbaric oxygen therapy is a pressure and oxygen dose-dependent gene therapy allows for reconciliation of the conflicting TBI study results as outcomes of different doses of pressure and oxygen. There is no reason to believe that an intervention like HBOT that purports to decrease inflammation would have any meaningful effect on the persistence of symptoms after concussion. Three well-controlled, independent studies (funded by the Department of Defense and published in a range of peer reviewed journals) involving more than 200 active duty servicemen subjects have demonstrated no durable or clinically meaningful effects of HBOT on the persistent (>3 months) symptoms of individuals who have sustained one or more concussions. Despite these scientifically rigorous studies, the clinicians and lobbyists who make their livings using HBOT for a wide range of neurologic disorders (without scientific support) have continued to advocate the use of HBOT for concussion. As a layman, Dr. Harch’s detailed rebuttal (see FULL RESPONSE HERE) completely destroys Dr. Cifu’s “non-responsive” comment to the scientific points raised in Dr. Harch’s report. In my view, it goes beyond the traditional “professional respect” shown by peers: Dr. Harch was pissed off and, in my opinion, had every right to be. Not surprisingly, Dr. Cifu has not responded to the irrefutable arguments presented by Dr. Harch. The discussion of HBOT is not a subject of mild academic interest. 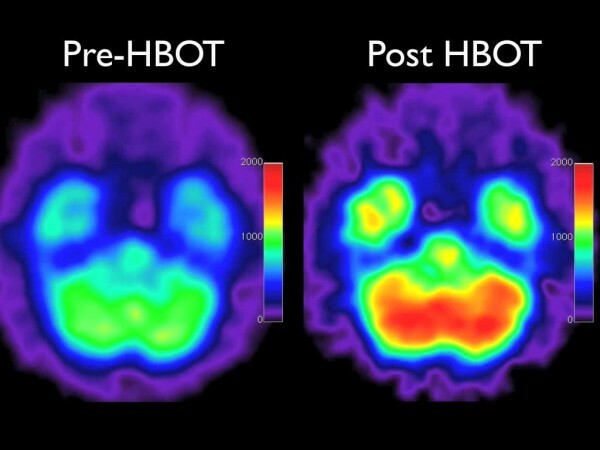 Specifically, Veterans are being deprived of hyperbaric oxygen therapy because Dr. David Cifu and his cronies at the VA are misrepresenting the overwhelming evidence that suggests that HBOT restores brain function. Why? Indeed, that is the $64 question. I hope and pray this is not the case. On behalf of tens of thousands of Veterans who are denied HBOT treatment for PTSD and TBI by the clumsy and sloppy claims of Dr. Cifu and others within the VA, please “do the right thing” and lend your support to HBOT as a recommended VA therapy for treating brain injury.